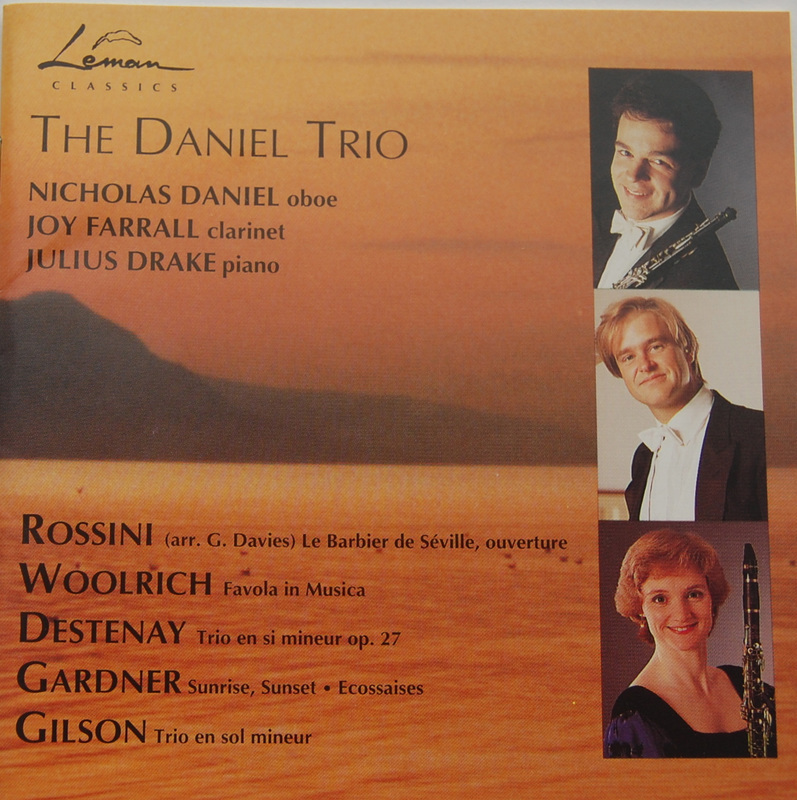 At his debut at the BBC Proms in 1992, when still only in his twenties, the Sunday Times described Nicholas Daniel as one of the greatest exponents of the oboe in the world. Today, one of the UK's most distinguished and charismatic soloists, he is also noted for his championing of new repertoire for the instrument. Educated at Salisbury Cathedral School, where he was a chorister, the Purcell School for gifted young musicians and at the Royal Academy of Music, Nicholas Daniel studied with George Caird, Janet Craxton and Celia Nicklin. At the age of 18, he was the winner of the BBC 's prestigious Young Musician of the Year Competition. He went on to win several other competitions, including the International Double Reed Society competition in Graz, and the Munich International Oboe Competition, where he was the first ever-and only British prizewinner. On leaving the Royal Academy in 1983, Nicholas Daniel was appointed principal oboe of the London Mozart Players and, in 1987, principal oboe of the City of London Sinfonia. During this time, he also played as a regular guest principal in many of London's orchestras, as well as with the Rotterdam Philharmonic and the Cologne Philharmonic. In 1990, however, he decided to concentrate solely on solo playing and chamber music, and, since 1994, on conducting. Nicholas Daniel has been a guest artist with every BBC orchestra. Since his debut at the Promenade Concerts, he has appeared three subsequent times, performing Strauss Oboe Concerto; the world premiere of John Woolrich's Oboe Concerto, which was commissioned by the BBC; and Benjamin Britten's 'Six Metamorphoses'. He appears in the 2003 season in Thea Musgrave's 'Helios', a work written especially for him. Also an active chamber musician, Nicholas Daniel is a founder member of the Haffner Wind Ensemble, one of the pre-eminent wind ensembles in Britain. At the request of the Aldeburgh Festival and the Britten Estate, the Haffner premiered a recently discovered work for wind sextet by the young Benjamin Britten. The Haffner made its American debut at New York City's Frick Collection in March 2001. 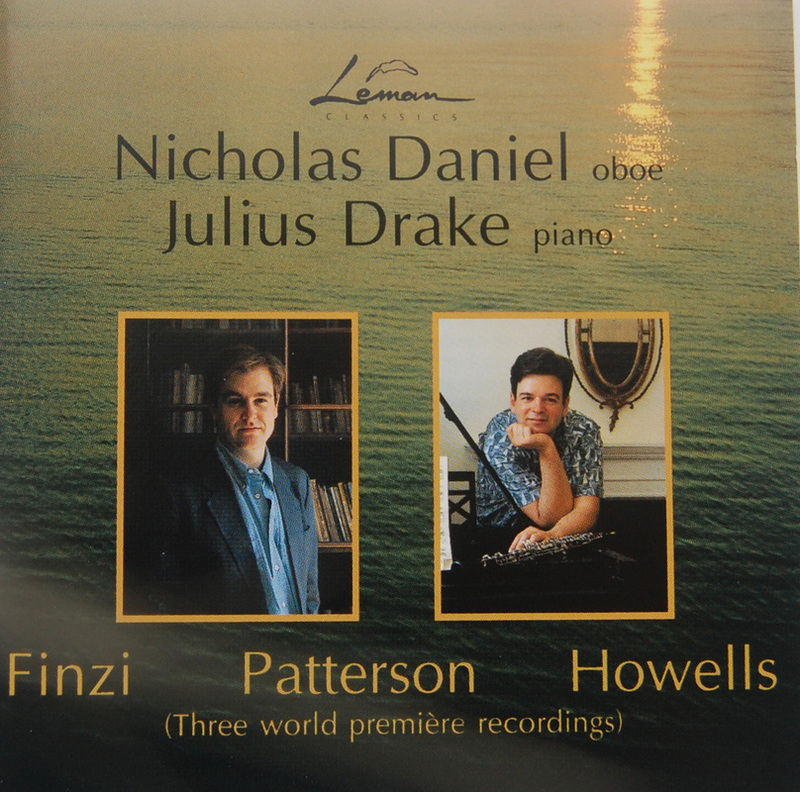 Other chamber music affiliations for Nicholas Daniel include a twenty-year collaboration with pianist Julius Drake, as well as regular appearances with the Maggini and Lindsay string quartets. In 2001 Nicholas Daniel was appointed Artistic Director of the Osnabruck Chamber Music Festival in Germany, in 2002 he was appointed Associate Artistic Director of the Britten Sinfonia, the ground breaking Chamber Orchestra based in Cambridge, UK, as well as Artistic Director of the Isle of Wight, soon to be Barbirolli/Isle of Man, International Oboe Competition, and in 2003 he was appointed Artistic Director of the Leicester International Music Festival in the UK. He also serves as Music Director of the Leicester Symphony Orchestra and is a member of the Arts Council in the East of England where he makes his home. Nicholas Daniel has been an important force in the creation and performance of new repertoire for oboe. Together with Julius Drake, he has premiered works by Henri Dutilleux, Sir Harrison Birtwistle, Sir Michael Tippett, and John Woolrich as well as many other distinguished figures. With the English Chamber Orchestra, he gave the world premiere of the orchestral version of Britten's Temporal Suite at the 1994 Aldeburgh Festival; and with the Scottish Chamber Orchestra the world premiere of Thea Musgrave's Helios at the St. Magnus Festival. Additionally, composers such as Sir Peter Maxwell Davies, John Taverner, Oliver Knussen, Michael Berkeley and David Matthews have written pieces especially for him. Currently, Richard Rodney Bennett is composing a concerto for Nicholas Daniel and Thea Musgrave is writing a double concerto for oboe, percussion and orchestra that will feature Mr. Daniel and Evelyn Glennie. A committed teacher, Nicholas Daniel was appointed Professor of Oboe and Chamber Music at London's Guildhall School of Music and Drama at age 23. He served as Professor of Oboe at the Indiana University School of Music from 1997-99, and is now a Fellow of both the Guildhall School and the Royal Academy of Music. He was appointed Prince Consort Professor at the Royal College of Music, London from 1999-2002. He teaches a mastercourse on Evia, Greece, each summer, attracting the cream of the world's oboe playing youth. Mr. Daniel can be heard on more than 25 recordings for such labels as Virgin Classics, Chandos, BMG Conifer and Leman Classics, most recently in Bliss' Oboe Quintet on Naxos with the award winning Maggini Quartet, in the music of John Taverner with Fretwork on Harmonia Mundi USA, and with the BBC National Orchestra of Wales under Richard Hickox in Concertos by Michael and Lennox Berkeley which was BBC Record Review's Disc of the Week on it's release earlier in the year. In the first four months of 2003, Mr Daniel performed in nine different countries on 3 continents, with repertoire as diverse as the Strauss Concerto in Seoul to the Vaughan Williams and Barber Concertos in Istanbul, Turkey. Mr Daniel plays Loree instruments supplied by Crowthers of Canterbury in association with Loree, Paris.